If you have naturally textured hair with curls, coils or kinks you can create naturally curly hair magic on a daily basis. Start you magic with a great hair cut created by a natural texture expert who studies your own texture patterns. An experienced texture hair professional will cut and shape your strands so that the curls, coils and/or kinks nestle together to form a stunningly beautiful profile. 1.Cleanse detangled hair in lukewarm water with a custom formulation designed for your individual naturally textured type, texture and condition. You may wish to do a Diluted Shampoo (DS) wash, a Conditioner Only Wash (CO Wash), a Water Only (WO) wash or a low or no poo cleanse. You may wish to use a curl enhancing formula like Matrix Total Results Curl Shampoo. 2. Rinse shampoo or alternative cleanse formula from hair. Gently squeeze out excess water with fingers in an accordion style. 3. Apply rinse-out conditioner like Matrix Total Results Curl Conditioner with good slip to wet strands from top of ears down to the ends (avoid the roots). Use fingers or a hair friendly wide-tooth comb to detangle individual 2″ horizontal sections. 4. After hair is completely detangled rinse well and finish with a cool or cold wash.
5. Towel blot hair to remove excess water. Leave hair damp and do not rub with towel. 6. Apply leave-in styling cocktail including leave-in conditioner, defrisant and styling cream or gel. 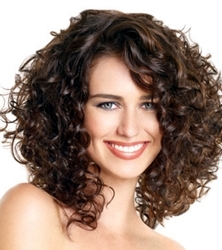 A good gel to try is Matrix Super Defrizzer™ Gel. Be sure to distribute styling cocktail with fingers or wide tooth comb for even coverage. 7. Add a diffuser attached to a blow dryer. 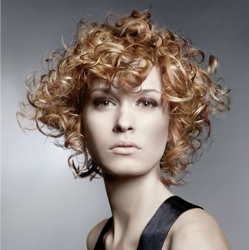 Use lowest heat and speed settings to maintain natural texture and to dry gently. Tilt head to side allowing hair to hang freely. Position diffuser beneath the hair. Push up and dry. 8. 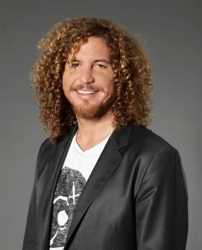 Using the diffuser work around the head from side to side until the entire head of hair is dry. 9. Apply a dab of curl enhancing cream to the palms of hands and apply to the finished texture being careful not to break up curls. If desired spray with a light hairspray. This entry was posted on Tuesday, October 18th, 2011 at 4:42 pm	and is filed under Hair. You can follow any responses to this entry through the RSS 2.0 feed. Both comments and pings are currently closed.